We can learn so much from nature at Pfeiffer Nature Center's Eshelman property. 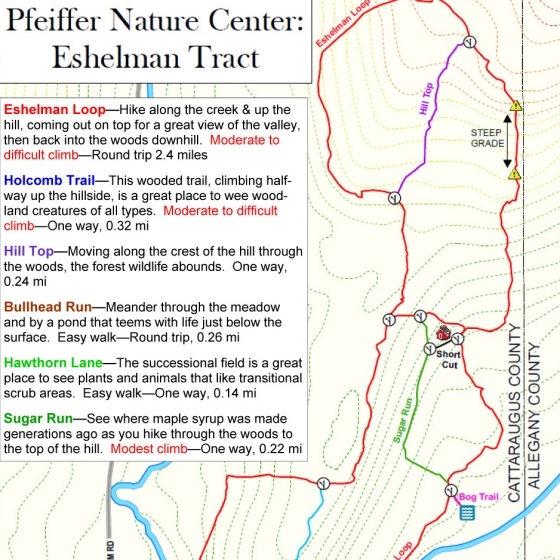 The attached map is of the Eshelman Tract of land listing the trails and geographic features. Updated on Wed, 12/12/2018 - 4:51pm.